We are engaged in manufacturing and supplying process panel, process meter, panel meters, process panel, industrial process panels. Our product - process panel with SCADA is a perfect solution for controlling and operating complex systems. 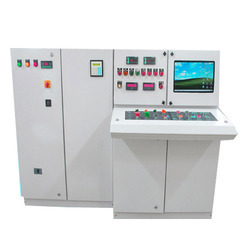 These process control panels are used in various industries like electronic chemicals, petrochemicals and pharmaceuticals. These panels are also available at most competitive prices. We are one of the prominent manufacturers and suppliers of Industrial Process Panels. These panels are fabricated using the high-grade raw material, which is sourced from the authentic vendors of the market i.e. TATA, Jindal. Moreover, to ensure the international quality standards, we test these panels on various parameters. Looking for Process Panel ?